OFFICE HOURS- Monday- Friday * 8:00am -4:30pm (No Weekend Hours) Please see our contact page for special hours such as holidays. Mirror and Shower Door Experts! 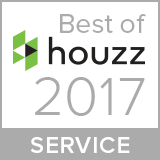 Providing Quality and Excellence since 1956! Do you need replacement glass for a favorite picture or a piece of plate glass to protect your new or antique piece of furniture? Maybe you've been playing with the idea of a beautiful beveled mirror in the dining room, or your dream house includes custom frameless shower doors. 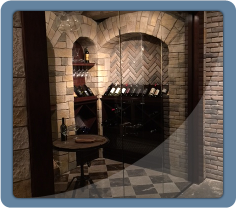 Whatever you've been dreaming of, Capri Glass Inc wants to make those ideas a reality. In fact, we've been making dreams come to life for over 60 years, and we don't stop there. We also do commercial work, including custom aluminum storefronts, commercial glazing, and interior and exterior window and door replacement. No matter what your needs are, let our quality workmanship and experience make us your number one choice for all your glass needs. Come visit our showroom in downtown Coraopolis, Pennsylvania, to experience it for yourself. 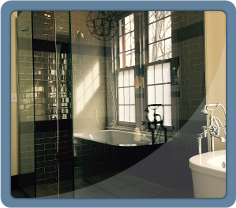 We look forward to servicing all your custom glass needs. Learn about our high-standards, as well as our great products and services today. 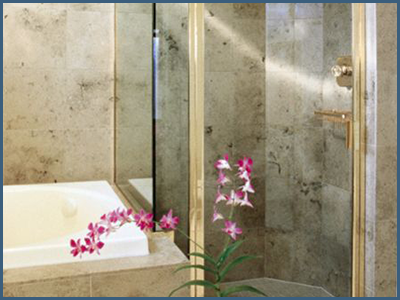 Discover our high-quality glass, mirrors, and shower doors today. Get the glass products and services you need. 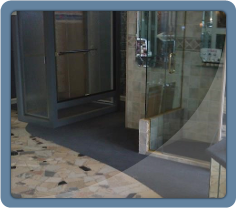 Capri Glass Inc offers commercial and residential glass replacement services in Pittsburgh, Pennsylvania. 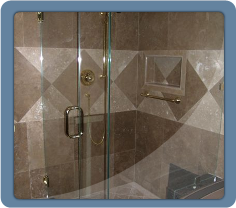 We specialize in new glass shower door installations, as well as glass and mirror replacement. Our family-owned-and-operated company has been managed by Lance and Christine Scalise for more than 35 years. As hands-on owners and managers, they have earned an outstanding reputation in the community and glass industry by placing an emphasis on excellence, quality workmanship, and customer satisfaction since 1956. 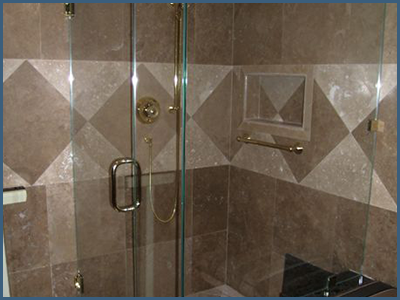 At Capri Glass Inc, our mission is to provide our customers with quality and excellence. Lance and Christine ensure you receive only the highest-quality craftsmanship and top-of-the-line, high-end products. Lance and his son, Justin, will personally oversee your job and install your product for you.